Del Monte Heart Smart and PATACSI partner to help address and raise awareness on the rising incidence of high cholesterol in the country. The number of Filipinos with high levels of cholesterol has greatly increased, results from the 8th National Nutrition Survey show. In 2008, 31.3% or 1 in 3 Filipino adults had borderline to high cholesterol. The latest survey in 2013 by the Department of Science and Technology’s Food and Nutrition Research Institute (DOST-FNRI), however, shows that the prevalence has alarmingly spiked to 1 in 2 Filipino adults. 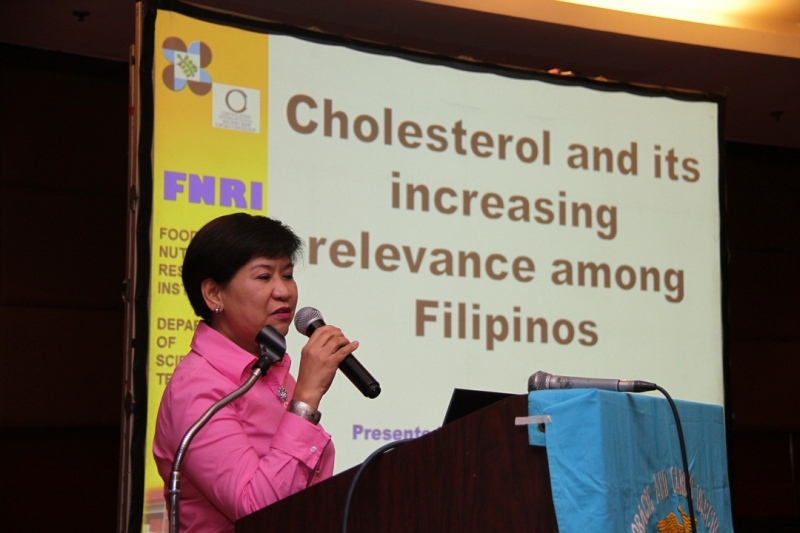 The FNRI’s latest data reveals that 46.9% of Filipinos aged 20 and up today have borderline to high cholesterol. Some top factors likely leading to the increase in cholesterol levels include poor dietary choices, stress, and physical inactivity. Experts also link high levels of cholesterol to the top non-communicable disease (NCD) killers in the Philippines which include diabetes, chronic respiratory disease and cardiovascular diseases. Cardiovascular diseases alone account for 170,000 deaths in the Philippines each year, making it the leading cause of mortality among Filipinos. 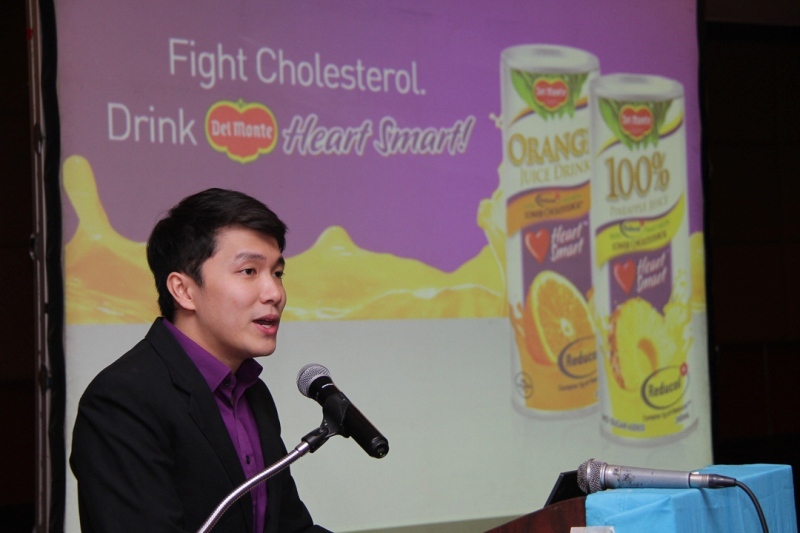 As a response to this major health issue on high cholesterol in the country, Del Monte launched Heart Smart 100% Pineapple Juice and Orange Juice Drink with Reducol, which is an ingredient that is clinically proven to help lower cholesterol. Studies have shown that plant sterols and stanols, the main components of Reducol, significantly lowered bad cholesterol levels among clinical trial participants. 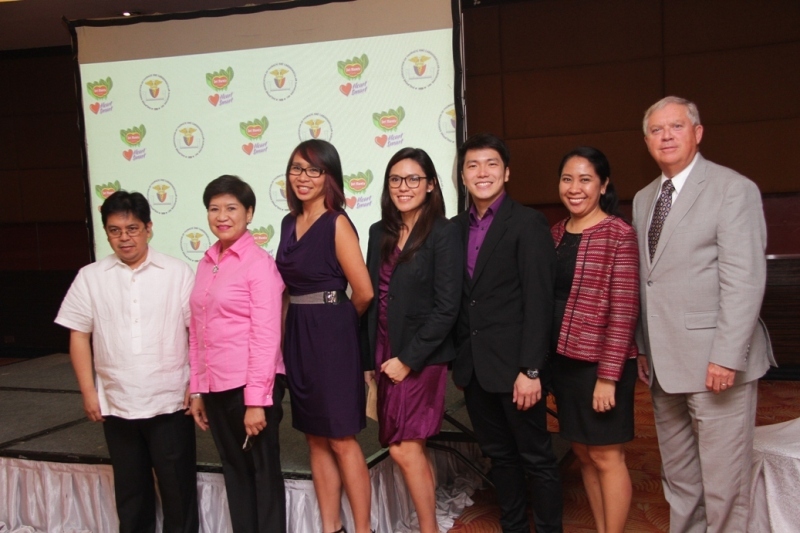 The Philippine Association of Thoracic and Cardiovascular Surgeons (PATACSI), the specialty organization of all certified thoracic and cardiovascular surgeons in the Philippines, is partnering and supporting Del Monte in this advocacy to increase awareness and help prevent the continuous rise of cholesterol in the country. According to Mr. David Peele, President of Avoca Inc. and makers of Reducol, “based on various clinical studies conducted, Reducol has been proven to be safe and effective in lowering cholesterol levels,” In the Philippines, Del Monte Heart Smart is the only Reducol-fortified food product or drink, containing 1 g of US-FDA approved Reducol per serving. Based on the results of clinical studies, two servings of Del Monte Heart Smart per day may help reduce cholesterol levels in eight weeks. Though Del Monte Heart Smart with Reducol reduces cholesterol levels, a healthy lifestyle remains vital to optimize benefits. “To best manage cholesterol, it is still important to have a healthy regimen which includes a healthy diet and constant exercise” said PATACSI President Dr. Michael Baccay. A diet consisting of fruits and vegetables, whole grain, fat-free and low-fat milk products, fish, legumes (beans), and lean skinless meats can help prevent spikes in cholesterol. The 56th PATACSI Foundation Day held last July 8, 2016 in Crowne Plaza Galleria serves as the official kick off for the partnership between Del Monte Heart Smart and PATACSI in addressing and creating awareness on cholesterol management in the country. Del Monte Heart Smart is available in all leading supermarkets and groceries nationwide at Php 26.00 SRP for 240mL cans and Php 82.00 SRP for Orange 1 Liter Resealable Tetra Pack.